Who would want to live in an apartment above a strip mall – even a relatively aesthetically pleasing one? And what is the town of Ithaca’s plan for Danby Road? Some kind of zoning to stick all that parking in the back of complexes like these would do wonders for its appearance (and potential walkability) with little effort. I’m still pulling for the DPI proposal on the Old Library site. 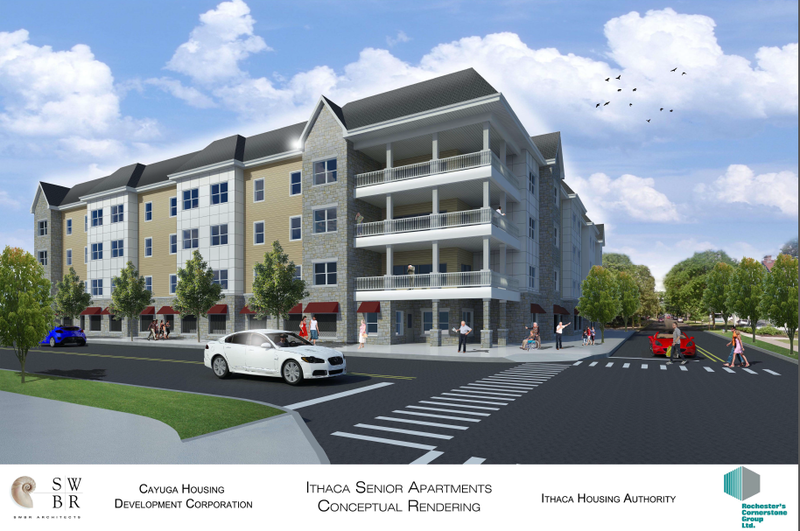 I agree with the other PhD – no one wants to live above a strip mall, and the town of Ithaca should really do something to stop the encroachment of such soulless suburbia. Just moving it to an equivalently sized and shaped building at the streetside (with some parking in the back) would make it a lot more appealing and livable. I’ll be relieved and unsurprised when that project falls through.